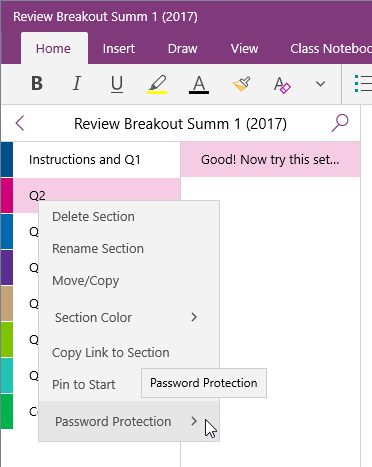 So when I was visiting Anna in Edinburgh during March Break, she showed me how she used Password-Protected OneNote sections within the OneNote ClassNotebook to help students check their work -- she set the password to the correct answer, so they knew they had it right when the Section opened up. I figured I could use this for Math Review, so I set aside a couple of hours (turned out to be 3 hours but a fair chunk of that was solution-time) the other night to put an Exam Review together for my Grade 10 Mathematics course. I pulled together as many multiple choice questions and short answer questions on the topics as I could Google and tried to balance each Section with a mix of topics and then threw in a couple of pop-culture questions, too. 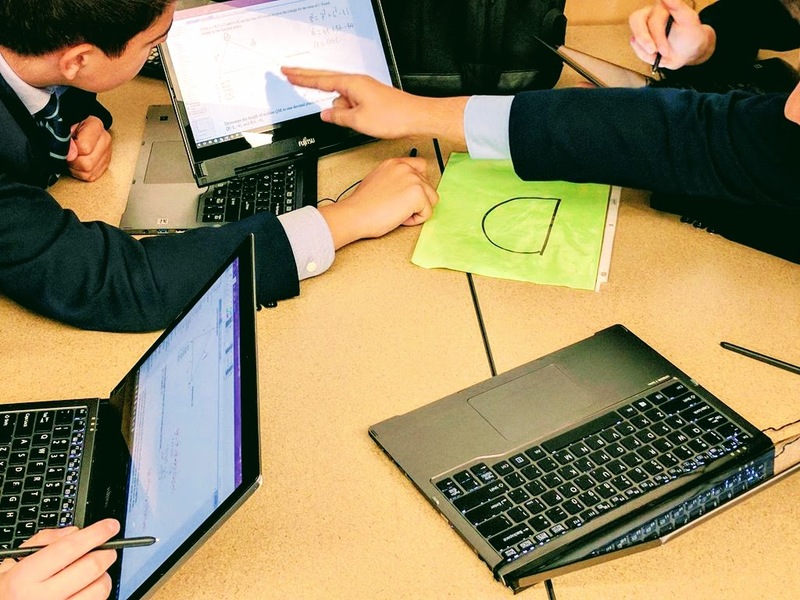 The students worked on the problems in each section and used the answers as passwords to unlock the next section until they got to the Prize section. Near total continual engagement for the 60 minutes class! Across three classes! They loved the idea of the puzzle that built across several sections and several even mentioned that even though these were similar to other questions in the rest of the review, they liked the idea of them wrapped up in a challenge. I was really surprised at the focus they had for the entirety of the class because reviewing is often a challenging time for engagement (let alone the nice weather outside). I put way too many questions in for an hour-long class. Half as much likely would have been good -- this would have cut down on my prep time, too. I had assumed they would divide & conquer in their table groups but even when they said they were going to do that, they ended up solving all the problems together. This surprised me -- I thought they would be more mercenary. I also thought there would be more sharing between groups (even though it was phrased "the first group done wins a prize") but they kept their cards close to their chest. I will likely add some more puzzle-like pages, questions & structures instead of just having multiple choice or short-answer questions. Maybe do an anacrostic, a fill-in for another clue, or a cipher/code with their answers that has to be undone. Using multiple choice lets you pick letters that spell something, or builds a larger question, for example. Now, that's not precisely curriculum expectation focused, but it would add a problem-solving element and increase the fun-factor. 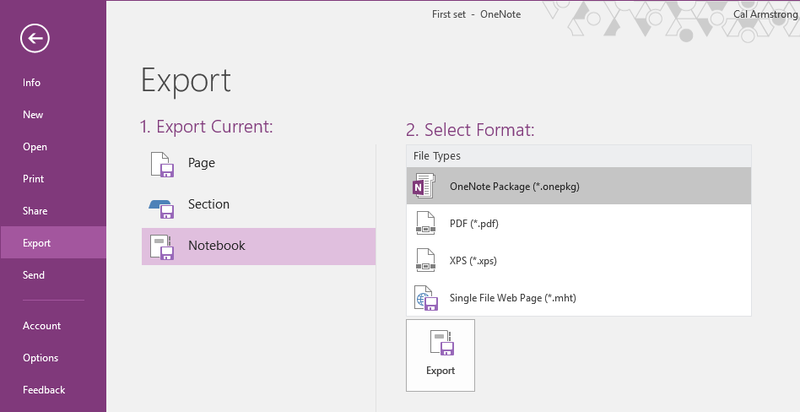 First, I created a OneNote notebook. Pretty easy. 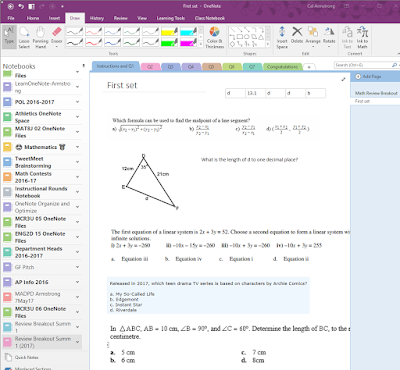 If you're just reading this as a new OneNote user, go to www.onenote.com and you can create one for free there. Your students do not need OneNote to do this... when you're done, just create a VIEW link to your OneNote and give that to the students, and they can use their web browser to view the pages and enter the passwords. For you, be sure to download the application to your device -- the web version is fine for the students to work in (and they don't have to be 1:1), but you'll want to use your device's OneNote application to do the work in. It gives you a lot more functionality and creativity to play with. 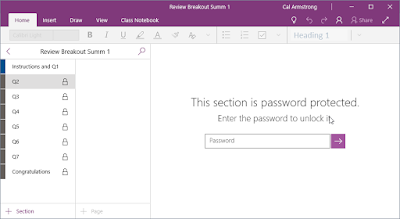 And most importantly, at the top of the first page in each Section I put a table -- and that table is going to contain the password for the next section that this section is going to give the student. Then, I collected questions. 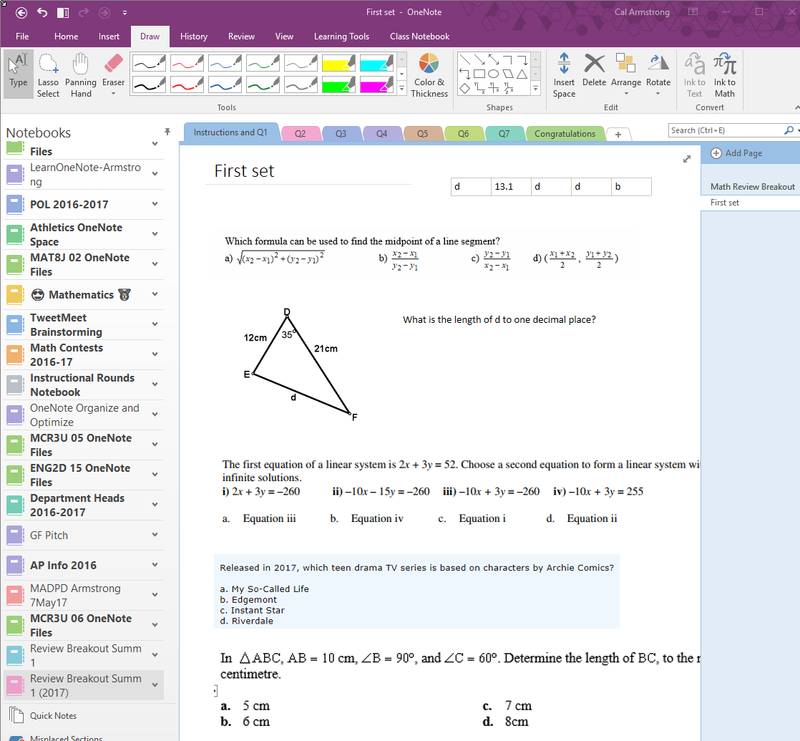 I just Googled "analytic geometry multiple choice" and pulled my favourite ones off using Windows-Shift-S to screen-capture them from either the PDF or Word document and then CTRL-V pasted them into the OneNote. I kept flipping back & forth between the sections trying to balance the difficulty of questions across the different topics, cutting & pasting as I went. And I wanted at least some short answer questions so that my passwords would be more ab12.3d than just a stream of letters so I kept re-arranging them on the pages. Plus I know if I had just used multiple choice, some kid would just keep entering aaaaa, aaaab, aaaac, etc. With all the questions in place, I solved each question and put the answer in the table at the top of each page. I kept double-checking my work, because I didn't want to screw up a password! With all the problems solved and all the passwords at the top of each, I then created a page in my Course Notebook and screen-shotted the password-tables for each Section so I would never lose them, and then deleted them from the Notebook. 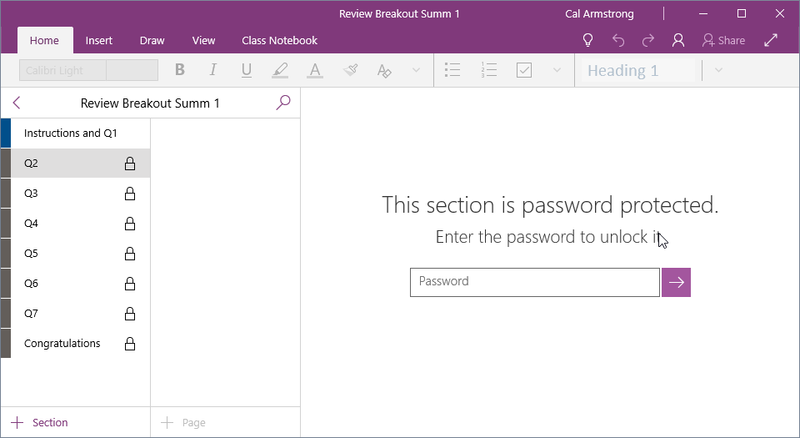 I now went into each section, right-clicked the Section Name and chose Password Protection. This let me enter a password (twice) to lock the section. DO NOT forget the password as no-one can unlock it for you -- IT will not be able, Microsoft will not be able, okay, maybe the TSA can. So I locked up all the Sections with the appropriate passwords and it was ready to go! 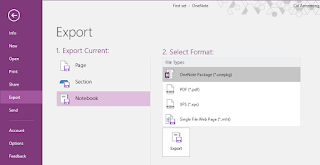 Now, I used OneNote2016 and used the Export--> Notebook so that I had a single file I could post in my OneNote ClassNotebook... when the students double-clicked on the Notebook, they got a complete copy of the Notebook. 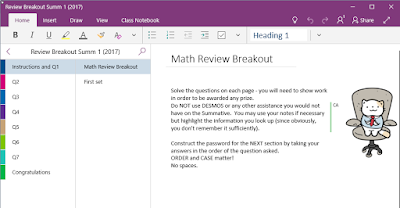 If you don't use OneNote2016, you can just create a VIEW link for your students and have them work on paper or in another OneNote to do the problems. 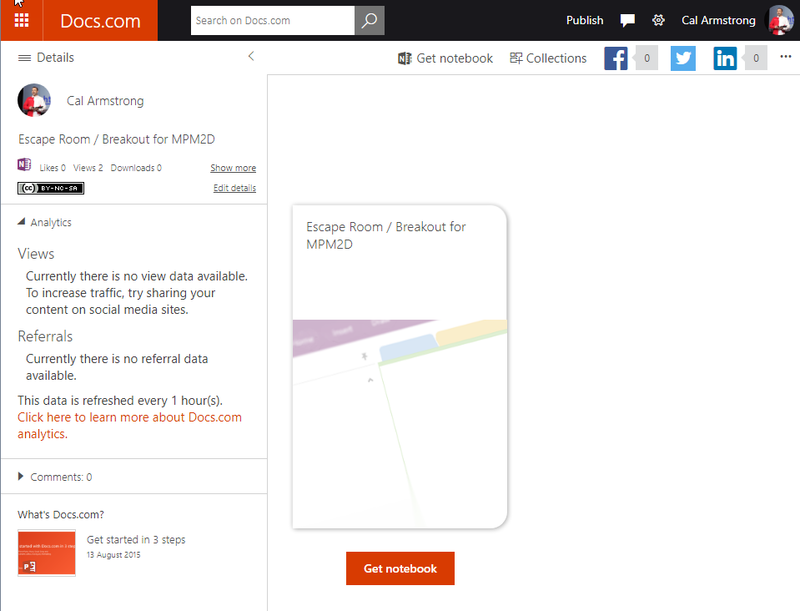 Alternatively, you can use Docs.com to post your OneNote and folks can create a copy of the Notebook of their own from Docs.com ... as I've done here: https://doc.co/YpXv9F You can go to this link and download your own copy of the EscapeRoom Notebook. Let me know how things worked out! During the first three weeks of July, I have the amazing opportunity to work at the Park City Mathematics Institute. It is, without exaggeration, the best professional development opportunity for teachers of mathematics. Participants spend three weeks thinking deeply about mathematics and mathematics education. learning mathematicsreflection on practice (RoP)becoming a resource to others.I'm part of the team for RoP and in charge of the third aspect, in which participants consider a gap in professional development back at their home districts and work in small groups to help fill that hole by developing a rich PD seminar on that topic. It is not easy to develop professional development. Teachers who haven't written PD have to patiently learn how to write (essentially) lesson plans for someone else. So yesterday I mentioned about using Teams to do Screencasts - you can see that blog post by clicking here. Here's a brief run-down of the process. When you're in the Teams application, either as a reply to a message, or a brand new conversation, click on the MEET NOW button. It looks like a little video camera. You'll get Teams Meeting popping up... you'll be doing a call, but of course, there's no one on the other end. Type in a Subject -- I'd choose the Course, Textbook, page and question number if it's applicable, otherwise some combination of curriculum standard. Click on MEET NOW to being the meeting. We want to start recording in order to get the video part of the screencast. 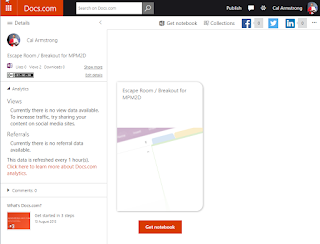 Click on the 3-dot menu button and choose START RECORDING. (It says "Preview" because recording is still in pretty active development -- see below). The recording has now started and you'll see the red icon in the upper right of the screen.